Collins & Hepler - Experienced and dedicated lawyers in Covington, Virginia focusing on traffic, criminal, elder law, personal injury, divorce, and real estate. Collins & Hepler, PLC is a proud firm with a rich history. We focus our practice in traffic and criminal defense, elder law and estate planning, personal injury and medical malpractice, real estate, conservation easements, and family law (divorce and child custody). 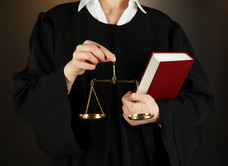 ​At Collins & Hepler, PLC, we approach each case with care and integrity. 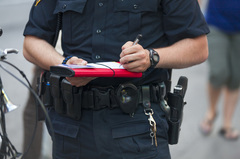 We strive to provide personalized, principled, and aggressive representation, whether defending a simple traffic citation, or pursuing a complex appeal to the Supreme Court of Virginia. 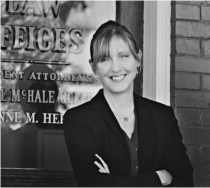 The Collins family has been providing legal services in the Highlands for nearly 100 years. Michael M. Collins, a native of Covington, Virginia, was preceded in the Covington office by his father, Hale Collins (1901-1971), who served twenty years in the Virginia Legislature. Our firm has expanded in recent years to become one of the largest in the area, with attorneys who dedicate their individual practice to their particular field, such as elder law, family law, or the defense of traffic and criminal charges. Together, we provide a wide range of legal services to the community, without compromising quality. We serve clients in Covington, Clifton Forge, Lexington, Buena Vista, Hot Springs, Warm Springs, and the counties of Alleghany, Bath, Highland, and Rockbridge, Virginia, in the areas of traffic and criminal defense, real estate, and family law. 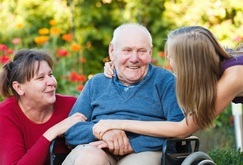 We serve clients across Virginia in the areas of elder law, Medicaid planning, personal injury, and medical malpractice. We gladly accept payments secured through PayPal. WARNING: We have been alerted of a national phone scam circulating through a process called “Caller ID Spoofing,” whereby the call appears to be originating from a law office, and the caller instructs the client to call a toll-free number to make a payment. Please note that we will never ask you to make a payment over the phone, and we will never give you a toll-free payment collecting number to call. For payments made to our firm, we will either direct you to the PayPal service on our website, or ask you to pay by check via mail or in person at the office. Serving clients in Covington, Clifton Forge, Warm Springs, Bath County, Lexington, Buena Vista, Rockbridge County Virginia and surrounding areas.